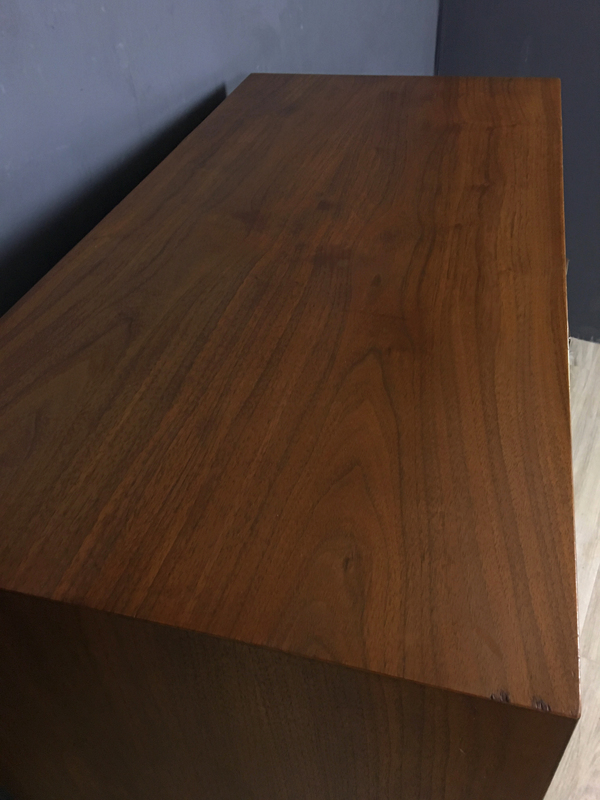 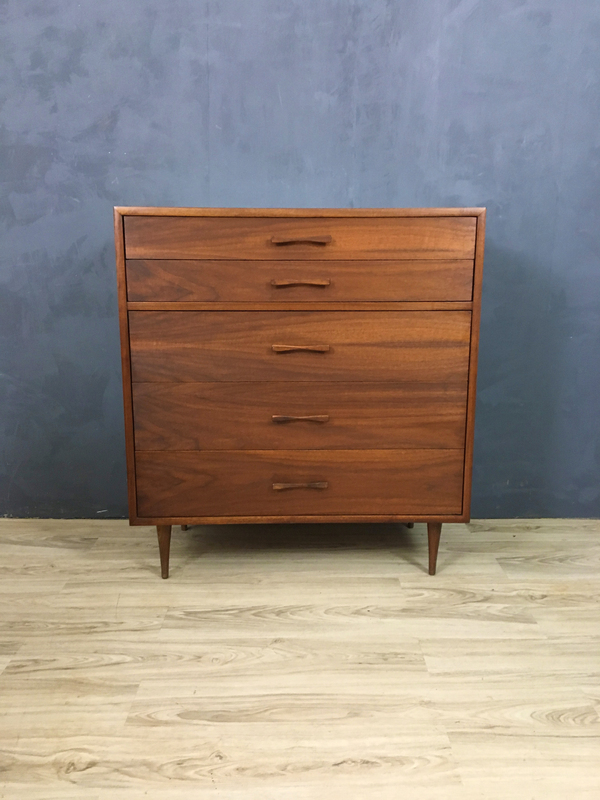 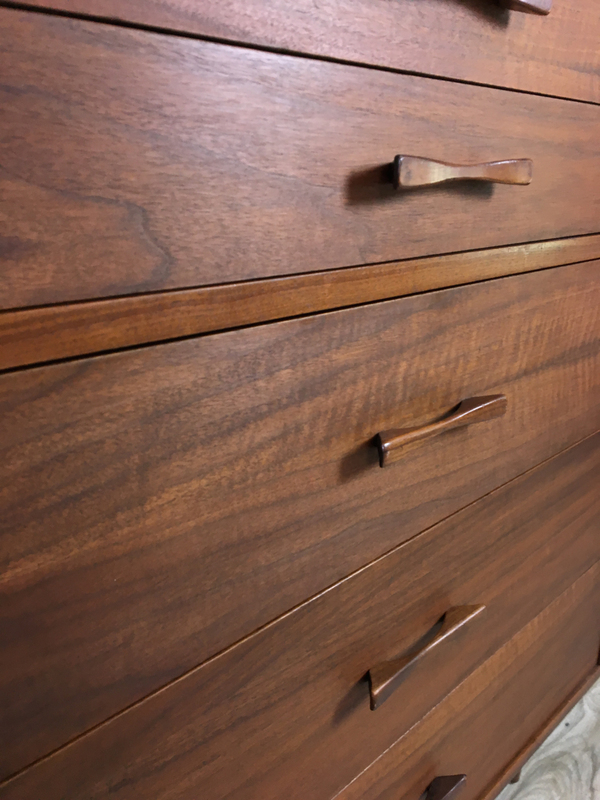 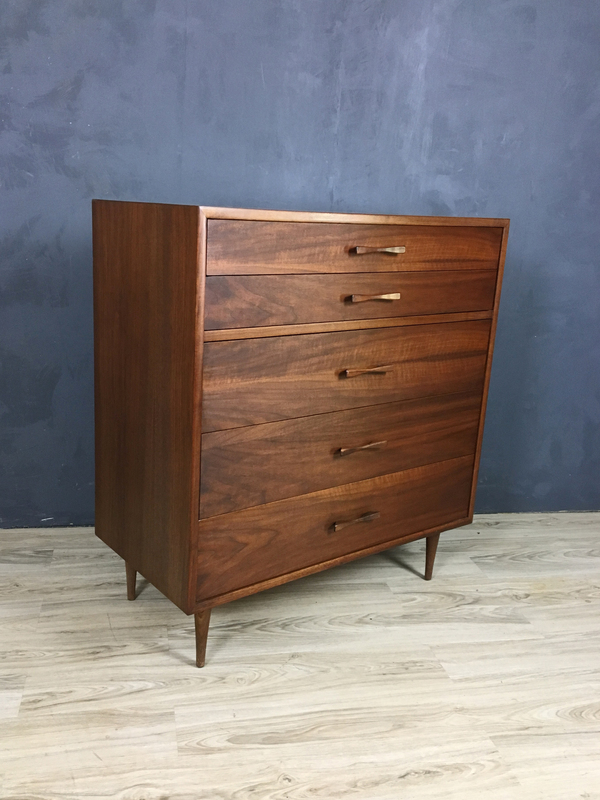 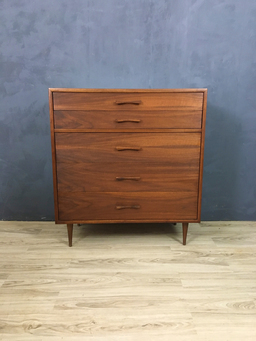 Manufactured in the mid century this lovely walnut upright dresser, features solid wood construction. The piece has been refinished and is in excellent condition both structurally and visually. Simple, elegant design with unique original sculptural wood pulls. 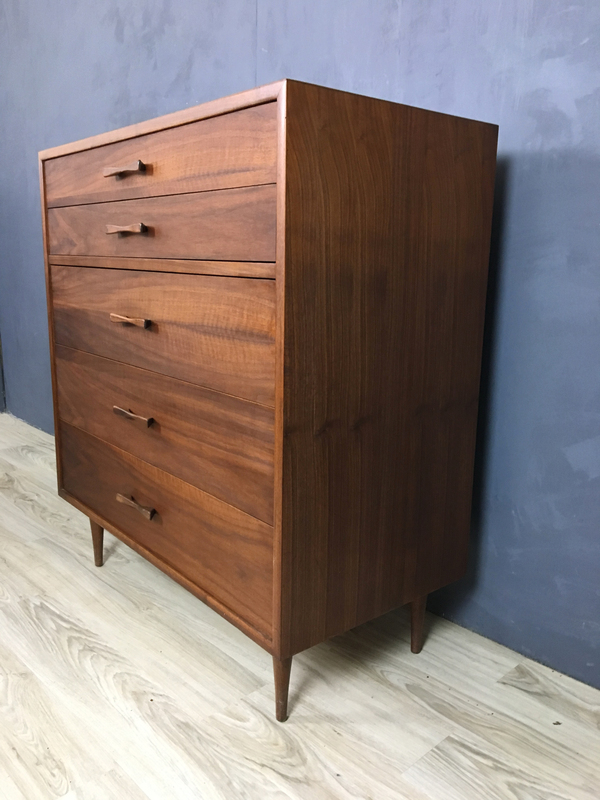 Slender tapered legs.